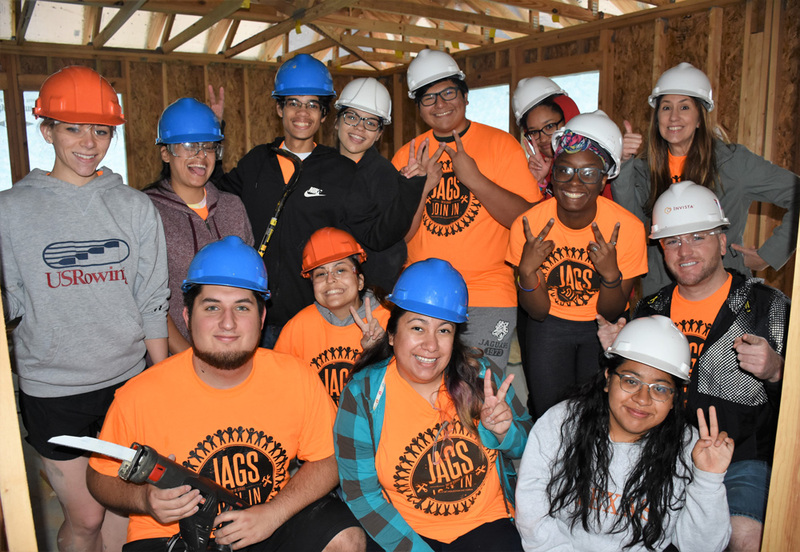 University of Houston-Victoria students and staff take a break Saturday from volunteering to help build a Golden Crescent Habitat for Humanity home in Victoria during the fourth annual Jags Join In – Day of Service. 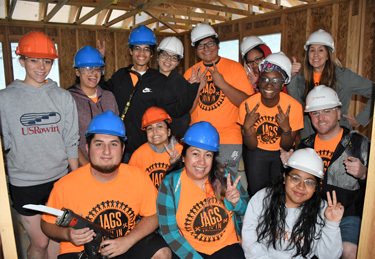 Thirteen UHV students and staff members participated. 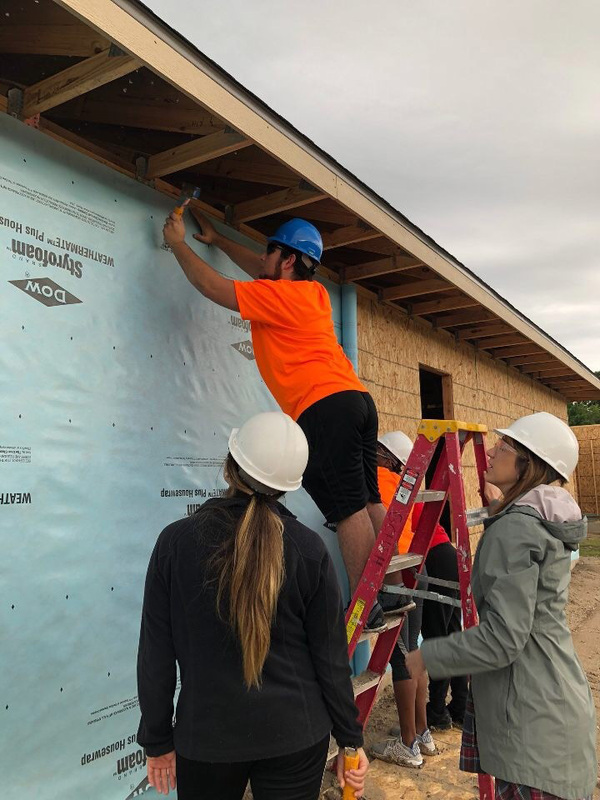 University of Houston-Victoria student Vito Lozano, on the ladder, takes part in a Habitat for Humanity build during Jags Join In – Day of Service.